As a technical term, Hysteresis refers to the phenomenon in which a magnetic field remembers its past. 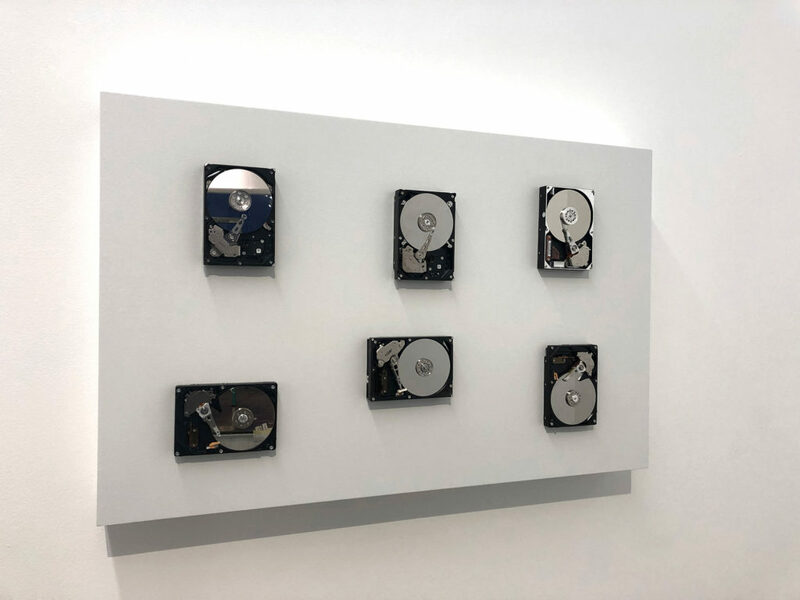 Six hard drives in this piece communicate/correspond endlessly to one another in a random order. They are set in order to work (sleep and wake) in the course of the exhibition in random time, free from making any meaning. The installation does not mean to be a response to the digital memory itself, but instead to reveal the inside of the electromechanical mechanism in the technology of recording memory. Hard drives in this piece are controlled by their random functions. Hysteresis works beyond the autonomous, self-referential, Kittlerian defined system; instead, it pertains to the structure of the system—namely, the functions and the events. In this way, the conscious experience of the hard drives is not about their content (information), but about the theatrical existence and the temporalities of the objects in a system working with each other. Hysteresis questions the reality of system and reminds us “a system is a fraud itself,” as Husserl put it. By perpetuating failure in their mechanism or bearing changes in their function, the hard drives produce neither facts nor fictions, rather something in between: pure noise, with which the machine resists linguistic communication. As they are detached from their original functionality, the hard drives have become unstable sensory objects within the flow of low/high electric current. They are situated on the threshold between the “format” and the analog signals. The audiences are not solely observers for this piece; their presence is engaged in front of the installation as well.